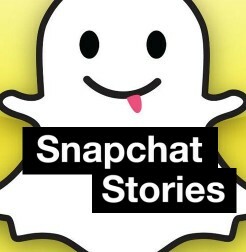 How To Post Story, Delete Story, View Stories & Number Of Views Of Story On Snapchat? Story’ feature from Snapchat, My Story is all about you. Any snap added to a Story is available for twenty four hours. All the snaps added to your Story can be viewed by anyone not just once, but, multiple times unlike regular snaps that vanish in a few seconds after viewing once. Snapchat Stories is a wonderful conversational tool and many top Snapchatters are exploiting this feature to communicate more effectively with their fans. How To Add Snapchat Snaps To A Story? Adding snaps to your Story is pretty simple. Take a snap and optionally add filters or special text or drawings to your snap and tap on the square icon with plus at the bottom of the screen and your snap has been added to your Story. There is no limit on how many snaps you can add to a Story. Just remember that any snaps added to a Story will disappear after twenty four hours. You can also choose who can view your Stories. To set the audience for your Stories go to Snapchat inbox -> Tap on the gear icon at the top right corner -> In the Settings page tap on ‘Who Can View My Stories’. Here you can choose to share your Stories with everyone or all your friends or just a few friends. Choose an appropriate option based on how private you want your snaps to be. How To Delete Snapchat Snaps From Your Story? You can delete a single snap or all the snaps from your Story. To delete a snap from your Story go to the ‘My Friends’ page and tap on your name. This shows all the snaps added to your Story. To delete a snap from the story, tap on the gear icon to the right of the snap. Now tap ‘Delete’ to remove the snap from your Story. Repeat, if you want to delete multiple snaps. How To View A Friend’s Snapchat Story? Go to the ‘My Friends’ page and any friend who has a circle next to their name has a Story. Just tap and hold on your friend’s name to view their Story. To skip a snap in your friend’s story just tap on the screen with another finger. How To Know The Number Of Views Of A Snapchat Story? The number of views of a Snapchat Story is an important metric that lets you know which Stories have performed better. This lets you better engage with your friends or fans by creating better Stories. Unfortunately, Snapchat doesn’t show the number of views of a Story. Instead, it shows the number of views of a snap and lists out all the users who have viewed a snap from your Story. Tap on your name in the ‘My Friends’ page. The blue eye icon next to a snap tells you the number views of the snap. Tap on it to reveal the usernames of the viewers of that snap. Previous post: How To Get The Sims 2 Ultimate Collection Free Download? I meant to save a post I put on my snapchat story but it deleted because of the 24 hours. Is there any way that I can somehow access that video? I love how simple that reply was. I checked who saw my story and it listed out the usernames but I realized that everytime I checked the story the same person stayed at the top of the list. Does this mean the person at the too viewed the snap the most amount of times? My list of who viewed my stories disappears. In order to get back, I have to log out and log back in. It stays as long as I stay on Snapchat. If I leave and come back, I have to log in again. Any remedy? Wat do u mean? How about gettin back the stories of those who view ur snaps ? Why can’t I see a story of someone who added me to snapchat after they posted a story? I have this same problem. Anyone know what’s happening and how to fix it? Duh!obviously ur “friend” block ya from seeing her story u creeper…. Can a person see how many times I viewed their story on snapchat? Same thing I was looking for. U find out? I deleted a friend from snapchat can he still view my story ? Pls its urgent ! Did you get the answer to this? How do I view my own story? Since the latest update, I can not see my own story, WHY? The limit of users listed that viewed your story seems to be limited to 101? After that it says + how ever many over that? I hate that it does this. I have sent several emails to snapchat support asking if there is any way to see the entire list past those 100 users with no reply. I made a new account and now I can’t see certain peoples stories. I know they have stuff on their stories cause when I check my old account I can view their story. Iwant to fine a story i post in snapchat a month ago ? how can i fine my old stories? I am trying to delete my story but my name doesn’t appear on friends list! Can anyone help? Lets say i posted 3 snaps to my story. One of my friends names shows up on viewing 1 and 3 but not 2. How is that possible? Or is it just an error? Let’s say I post 2 snaps on my story for 10 seconds, and someone only views the second one posted later but the first one, there name doesn’t appear, does it mean they snapped through it not watching the full 10 seconds? And if someone snaps through my story not watching the full 10 seconds Does it still count their name for viewing it? Is there away i can create a story with the photos already in my phone? How can i know if there anyone bloked me from watching his story?? If it shows as “opened”, but does not list a user as having viewed your story, does that mean they did not view it? I’m having that same ordeal what’s it mean they just didn’t really view the full 10 seconds? Or just deleted it? My brother and I can’t see each others stories and were friends and not blocked. What if your name isn’t on your friend list? Is there a program for snap view who skip our snap story ? With the recent update I have learned that I cannot hold down on a story to see how long it has been sense that person updated their story is there anyway that I can still do that and I just don’t know about it? I’ve been trying to find out how but no luck, anyone knows? Plz help! Why is it that i can see thins guys storie and he doesn’t see mine? I added him and then out of no where I saw that he either let me see them but he doesn’t see mine? Why can’t I see who viewed my story anymore? Even when less than 100 people viewed it it just shows the last 5 people and then it says + 4 more and won’t show me who the other 4 were… Anyway to change this? How can I find out how many times people have viewed my story ? Someone deleted me off their friends list a few months ago. I know this because I could no longer see their points or their stories. Today they happened to view my story yet it didnt notify me that they had readded me? how is this possible? Is there a way to publish an entire story with multiple snaps at the same time or does each snap you take have to be viewable right when it’s added? When you skip a snap does it count as a view for the other person ? Can someone see how many times u see their stories and if u snap shot a picture? If so how can u block them from seeing that? I can’t get my snaps to post to my story, I can send snap chats but no adding to my story, it just says failed to post. I have powered off my iphone and I have uninstalled and reinstalled snapchat and it still won’t post to my story. How do I fix this? If i unfriend someone can they still view my story? And can i still see if they viewed my snaps? How do I know the number of views my story in snapchat? Did you find out maybe? If I customized a snapchat story so that I only allowed one person to view it- will that person know I allowed only them to view it? Or does it just look like a normal story for all to view to that one person I allowed to view it? I have this guy on snapchat that I want to keep in my contacts but don’t want to see his stories, is there a way to still be friends with someone but stop their stories showing up? Hey guys I just noticed that I got a friend’s name only on my last snap of the story is it possible to to view only the last snap of a story or is it some bug tha just don’t show the name of that same friend on my previous snap story?